Chin guard; Possible to connect jacket to trousers; Ski pass holder ring; adjustable sleeve cuffs; detachable powder skirt"
The Volcom Utilitarian Jacket leaves absolutely nothing to be desired. This 2-layer snowboard jacket is made of windproof and waterproof synthetic fabric with fully taped seams, so you'll stay dry even in heavy snowfall. 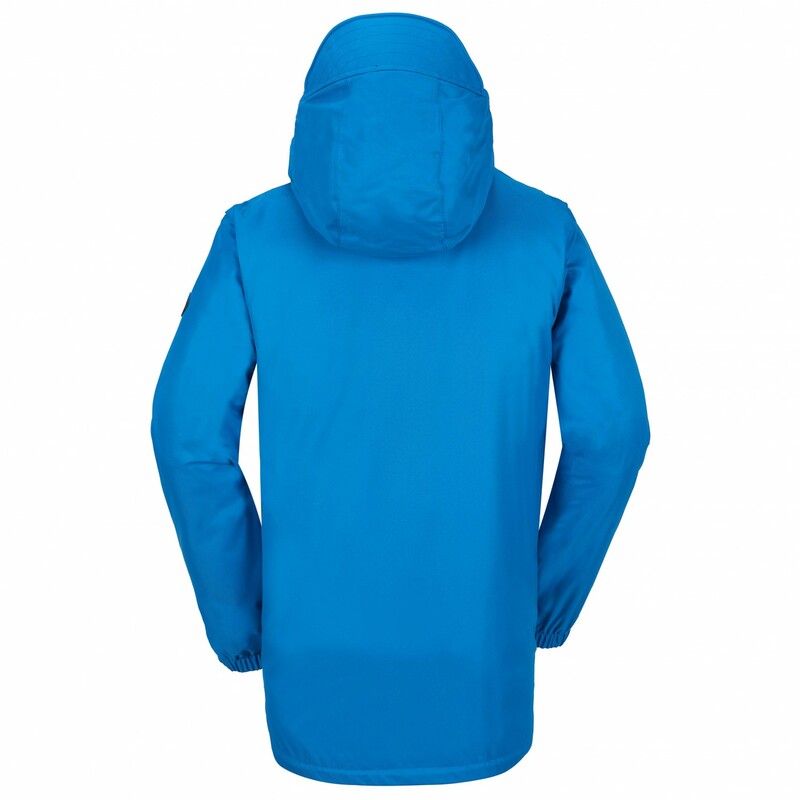 For protection from snow, the jacket can be sealed up with the detachable powder skirt or with a compatible pair of ski trousers. The cuffs can be adjusted with hook and loop fasteners and the hem with a hidden drawstring. For protection against strong gusts of wind, the hood (with brim) can be closed all the way up to your chin. Optimal weather protection on the slopes! Of course, the jacket wouldn't be complete without the breathable lining, mesh-lined zipped vents and four pockets for your ski pass, ski goggles and MP3 player. 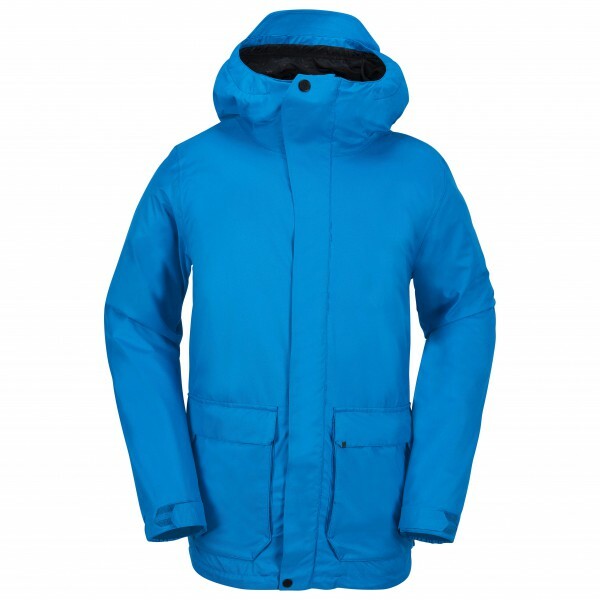 Perfect for long days in the snow: the Utilitarian Jacket from Volcom!